There’s plenty of theology in there. The Modern Philosophical Revolution breaks new ground by demonstrating the continuity of European philosophy from Kant to Derrida. Much of the literature on European philosophy has emphasized the breaks that have occurred in the course of two centuries of thinking. But as David Walsh argues, such a reading overlooks the extent to which Kant, Hegel, and Schelling were already engaged in the turn toward existence as the only viable mode of philosophizing. Where many similar studies summarize individual thinkers, this book provides a framework for understanding the relationships between them. 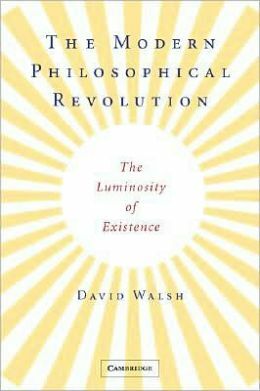 Walsh thus dispels much of the confusion that assails readers when they are only exposed to the bewildering range of positions taken by the philosophers he examines. His book serves as an indispensable guide to a philosophical [and theological] tradition that continues to have resonance in the post-modern world. 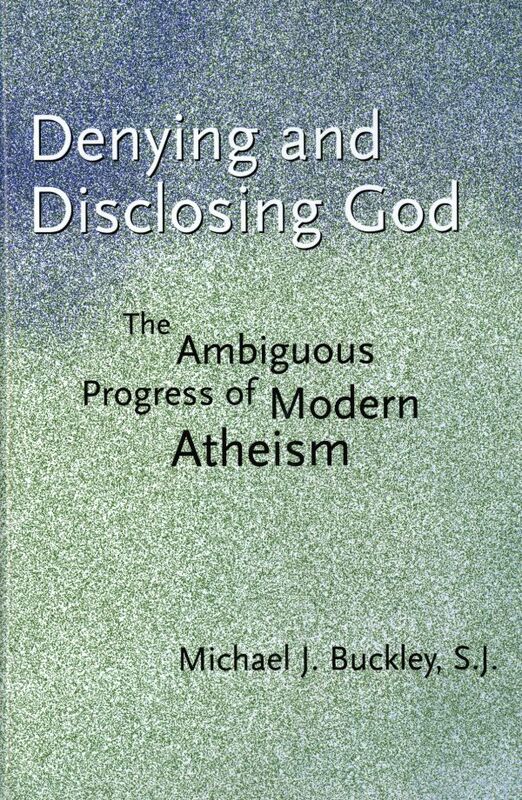 In this stimulating book, Denying and Disclosing God, distinguished theologian Michael J. Buckley, S.J., reflects upon the career of atheism from the beginnings of modernity to the present day. Extending the discussion he began in his highly acclaimed At the Origins of Modern Atheism, the author argues that atheism as ideology was generated neither by the rise of hostile sciences in the Renaissance nor by the medieval and inferential theology of Thomas Aquinas. Professor Buckley locates the origins of atheistic consciousness in modernity’s bracketing of interpersonal religious experience as of no cognitive value. Atheism was generated by the very strategies formulated to counter it. This dialectical character of modern atheism suggests the further possibility of the negation of this negation, thereby bringing about the retrieval of the religious in form and content along with a new admission of the cogency of religious experience. 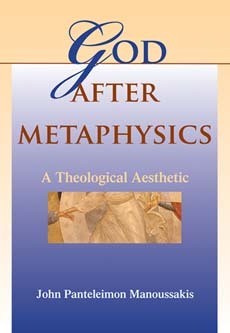 In seven essays that draw from metaphysics, phenomenology, literature, Christological theology, and Biblical exegesis,Marion sketches several prolegomena to a future fuller thinking and saying of love’s paradoxical reasons, exploring evil, freedom, bedazzlement, and the loving gaze; crisis, absence, and knowing. Swirly things and a cross. Theopolitical Imagination is a critique of modern Western civilization, including contemporary concerns of consumerism, capitalism, globalization, and poverty, from the perspective of a believing Catholic. Responding to Enlightenment and Postmodernist views of the social and economic realities of our time, Cavanaugh engages with contemporary concerns–consumerism, late capitalism, globalization, poverty–in a way reminiscent of Rowan Williams (Lost Icons), Nicholas Boyle (Who Are We Now?) and Michel de Certeau. 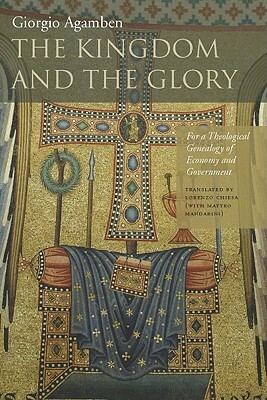 “Consumption of the Eucharist,” he argues, “consumes one into the narrative of the pilgrim City of God, whose reach extends beyond the global to embrace all times and places.” He develops the theme of the Eucharist as the basis for Christian resistance to the violent disciplines of state, civil society and globalization. Trust me, this book is big. 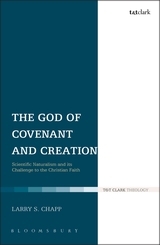 In The God of Covenant and Creation Larry Chapp develops a true ‘theology of nature’ that begins and ends with strictly confessional Christian warrants. He begins by showing how modern naturalism arose out of a theological matrix and how it lost its way specifically as naturalism as soon as it rejected that theological matrix. Indeed, modern naturalism is not so much a-theological as it is a rival theology to that of the Church. All claims of ultimacy, including those of natural science, have inherently theological orientations embedded within them – however unconsciously. Therefore, what confronts us in the modern world is not so much a choice between a non-theological naturalism and a theological naturalism. Rather, what confronts us is a choice between two rival theologies – one agnostic and a-theistic in its implications while the other is revelocentric and Christian. 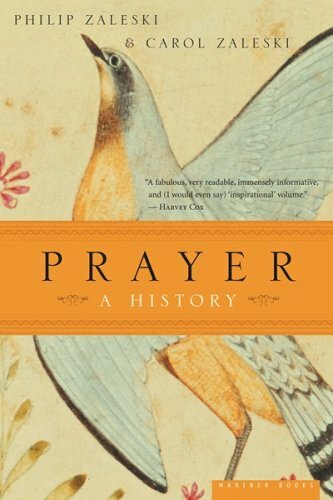 This landmark work presents prayer in all its richness and variety throughout history, across traditions, and around the globe. In a thorough and fascinating look at this spiritual practice, two of today’s most versatile and admired authorities on religion probe the language and fruits of prayer, its controversies, and its prospects for the future. With a focus on extraordinary stories of lives changed by prayer and on great works of literature and art inspired by it, Prayer: A History promises to be the standard on the subject for readers of all faiths. In the early centuries of the Church, in order to reconcile monotheism with God’s threefold nature, the doctrine of Trinity was introduced in the guise of an economy of divine life. It was as if the Trinity amounted to nothing more than a problem of managing and governing the heavenly house and the world. 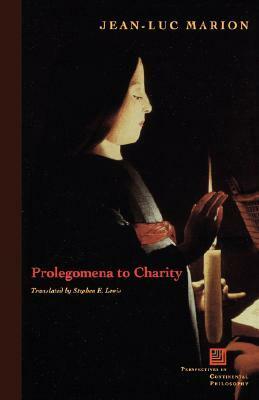 Agamben shows that, when combined with the idea of providence, this theological-economic paradigm unexpectedly lies at the origin of many of the most important categories of modern politics, from the democratic theory of the division of powers to the strategic doctrine of collateral damage, from the invisible hand of Smith’s liberalism to ideas of order and security. But the greatest novelty to emerge from The Kingdom and the Glory is that modern power is not only government but also glory, and that the ceremonial, liturgical, and acclamatory aspects that we have regarded as vestiges of the past actually constitute the basis of Western power. How does worship work? How exactly does liturgical formation shape people? And how does the Spirit marshal the dynamics of such transformation? 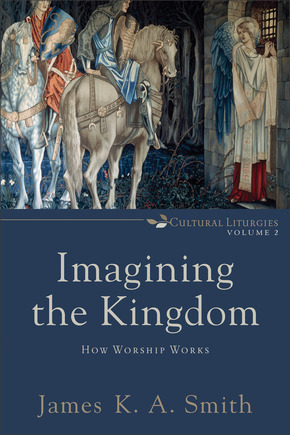 In the second of James K. A. Smith’s three-volume theology of culture, the author expands and deepens the analysis of cultural liturgies and Christian worship he developed in his acclaimed Desiring the Kingdom. Drawing on the work of Maurice Merleau-Ponty and Pierre Bourdieu, Imagining the Kingdom helps readers understand and appreciate the bodily basis of habit formation and how liturgical formation–both “secular” and Christian–affects one’s fundamental orientation to the world. Worship “works” by leveraging one’s body to transform his or her imagination, and it does this through stories understood on a register that is closer to body than mind. This has critical implications for thinking about the nature of Christian formation and the role of the arts in Christian mission. In this classic treatise on Christian spirituality, Rowan Williams takes us with a new eye along a road marked out by Paul, John, Ignatius, Irenaeus, Clement of Alexandria, Origen, Athanasius, Basil, Gregory of Nyssa, Augustine, and finally to Luther and St. John of the Cross. The Wound of Knowledge is a penetrating psychological and intellectual analysis of Christian spirituality. 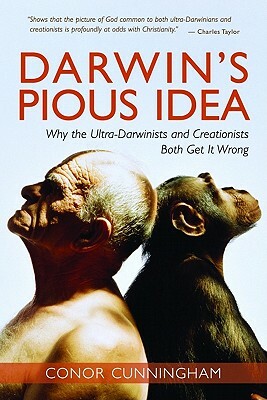 According to British scholar Conor Cunningham, the debate today between religion and evolution has been hijacked by extremists: on one side stand fundamentalist believers who reject evolution outright; on the opposing side are fundamentalist atheists who claim that Darwin’s theory rules out the possibility of God. Both sides are dead wrong, argues Cunningham, who is at once a Christian and a firm believer in the theory of evolution. In Darwin’s Pious Idea Cunningham puts forth a trenchant, compelling case for both creation and evolution, drawing skillfully on an array of philosophical, theological, historical, and scientific sources to buttress his arguments. Glowing blurbs all over the back of this one. While philosophy believes it is impossible to have an experience of God without the senses, theology claims that such an experience is possible, though potentially idolatrous. 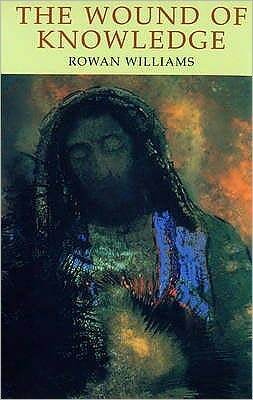 In this engagingly creative book, John Panteleimon Manoussakis ends the impasse by proposing an aesthetic allowing for a sensuous experience of God that is not subordinated to imposed categories or concepts. In God After Metaphysics Manoussakis draws upon the theological traditions of the Eastern Church, including patristic and liturgical resources, to build a theological aesthetic founded on the inverted gaze of icons, the augmented language of hymns, and the reciprocity of touch. 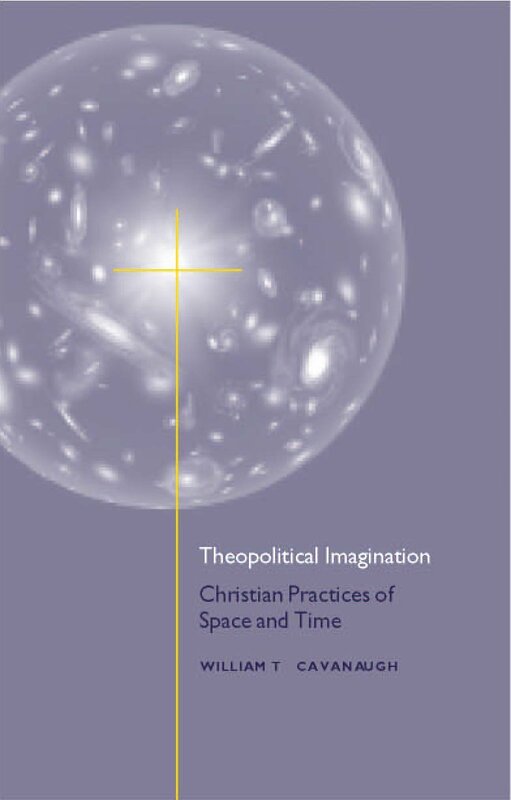 Manoussakis explores how a relational interpretation of being develops a fuller and more meaningful view of the phenomenology of religious experience beyond metaphysics and onto-theology. Nota Bene: Cosmos The In Lost also features a top 10 list of books about heaven and hell.